The purpose of the MWWDA is to organize, maintain and operate a trade association for the benefit of its members. To collect and share with its members any scientific, educational or general trade information regarding the subject of well drilling and the sanitary aspects thereof. To monitor and appropriately support or oppose, any legislation seeking to regulate the drilling of wells and the sanitation aspects involved. To advance and further the general welfare and interests of its members. The MWWDA Convention Committee and Board of Directors are now taking applications for your Industry Awards! Please review the MWWDA Award Nomination form, and if you know someone who meets one of these criteria, fill out the form and send (or mail) it to Dave Schulenberg at dschulenberg@ngwa.org by the stated deadline. 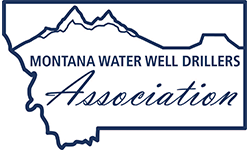 MWWDA employs a professional lobbyist to represent our interests in Helena. We actively participate in the Water Policy Interim Committee meetings, DNRC rule making and with the Board of Water Well Contractors. Subscribe to weekly updates. Our full length newsletter provides in depth information to our members three times per year. Our weekly info e-mails provide constant current information to those in the industry. Advertising in the newsletter.